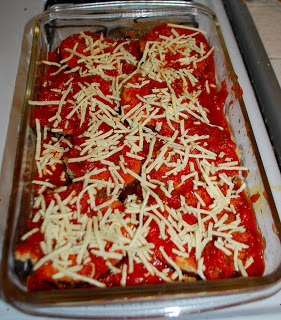 This is an easy vegan baked eggplant “parm” (I didn’t have vegan parmesan so I used mozzarella instead). Much healthier than a fried version. 1. Slice eggplant in 3/4″ slices, layer in a strainer in a single layer and sprinkle with salt. Lay a plate or casserole dish on top of the eggplant. This will draw extra moisture out of the eggplant. Let drain for an hour or so. Remove slices from strainer, and pat with a dry paper towel. 2. Preheat oven to 400°. Put soy milk & bread crumbs on 2 separate plates. Dip each side of a piece of eggplant in the soy milk and then breadcrumbs and place on a lined cookie sheet. Repeat with all pieces. 3. Bake for 5-6 minutes on each side. 4. 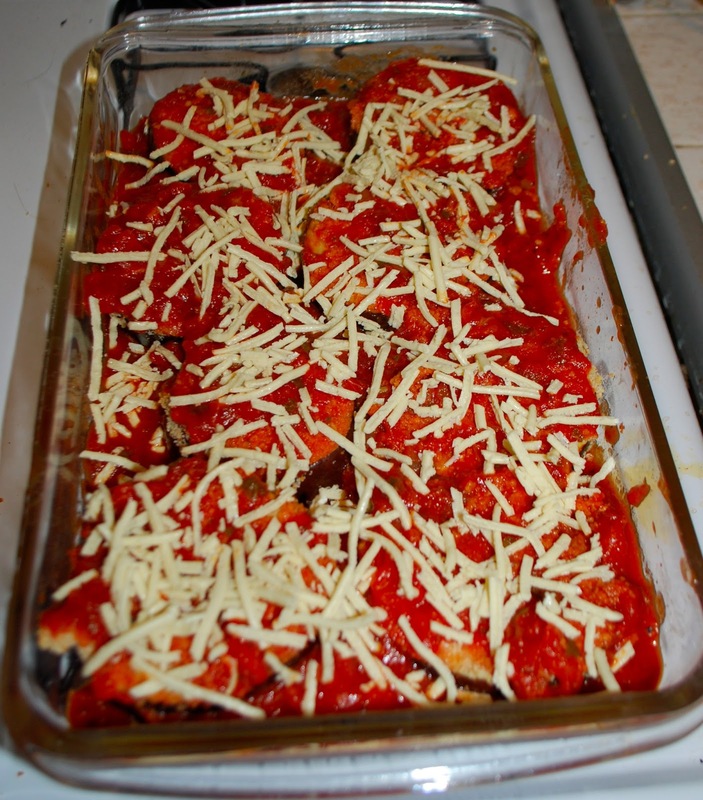 Pour half of the marinara into a casserole dish, layer on the eggplant, cover with the rest of the sauce then sprinkle with cheese. Bake for 30-40 minutes.